Does the 0.13-micron Pentium 4 spell success? 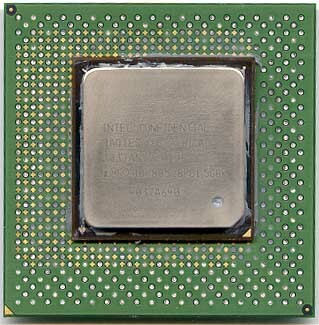 As we discussed in our Intel Roadmap preview last month Intel plans to release a new version of their Pentium 4 core, codenamed Northwood, in Q4-2001 at 2GHz and beyond. Northwood will be a 0.13-micron version of the Pentium 4 that will boast a die that is approximately 1/2 the size of the 217mm^2 Pentium 4 (Willamette) core. This will not only increase yield on the Pentium 4, but it will make it much cheaper to manufacturer as you can produce many more chips per silicon wafer which currently measure 8” in diameter (P8xxx process). After the Northwood debuts, Intel should be debuting their 12” wafers (P12xx process) allowing even more processors to be produced per wafer, decreasing production costs even more as time goes on. The Northwood will run at 1.30v compared to the 1.70v core voltage of the current Willamette based Pentium 4, and will boast significantly reduced operating temperatures as well. For example, a 2GHz Northwood may produce less heat than a 1.5GHz Pentium 4. This opens the avenue for the Pentium 4, and the NetBurst architecture in general to be seen on some very high clocked processors. How high you may ask?